All SHADOW RIDGE homes currently listed for sale in Park City as of 04/25/2019 are shown below. You can change the search criteria at any time by pressing the 'Change Search' button below. 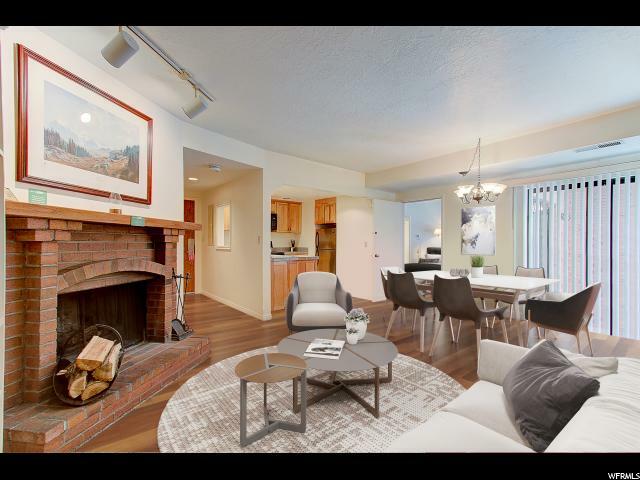 "This quiet, top floor unit faces Southwest for amazing ski slope views. It offers two bedrooms each with a balcony, three full baths, a fully-appointed kitchen with bar seating, informal dining, and the living room with a wood burning fireplace. Unit 412 is a lockout style, so you can use one side of the condo while renting out the other, or rent out both sides for additional income, maximizing your investment. 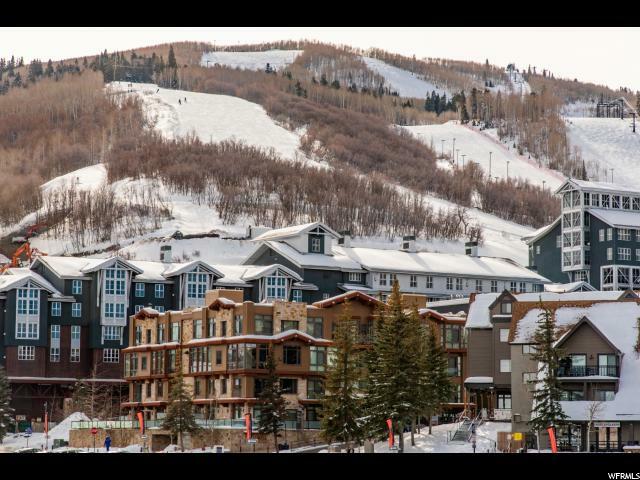 The Shadow Ridge project is located at the base of Park City Mountain Village resort, only steps away from the ticket booth, and a short walk to our historic Main Street. Shadow Ridge amenities include an outdoor pool and hot tub, ski storage, on-site check-in desk, and a lobby with a fireplace. There is also a free shuttle bus, laundry room, and fitness facilities." 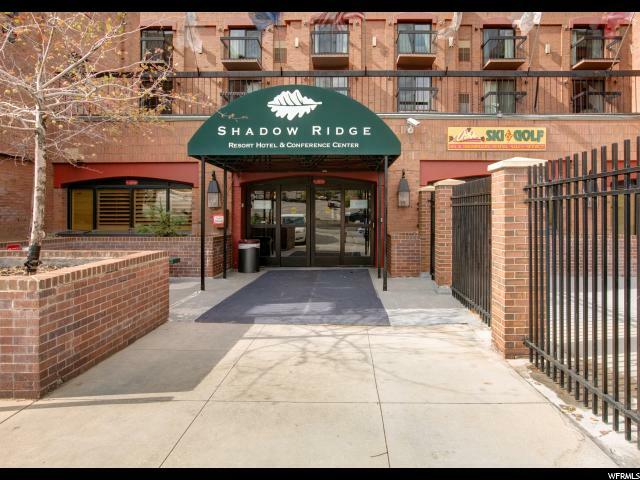 "Situated just moments from the base of Park City Mountain Resort, the location of Shadow Ridge cannot be beat. Moments from the front door is dining, shopping, world class skiing and snowboarding in the Winter and hiking and biking in the Summer. The property is also located on the free bus route making Park City's Historic Main Street a quick ride away. 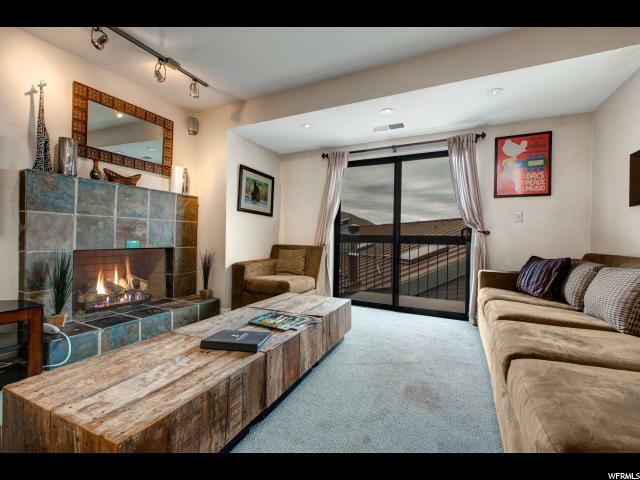 This spacious two bedroom, three bathroom unit is the perfect place to enjoy your ski vacations. Rental income potential is maximized as the space has a lock-out option that can be utilized. " "The Shadow Ridge Hotel is moments from Park City Mountain Resort. This top floor unit is a diamond in the rough with two lock-outs for maximum configuration options. The building offers owner storage, a fitness room, hot tub, and outdoor pool. A new energy efficient heating/cooling unit was installed in 2016. The location is convenient for skiing, boarding, mountain biking and hiking, and directly across the parking lot is the Resort Center transit hub." "Located at the base of and just steps away from Park City Mountain Resort - the largest ski/snowboarding area in the USA! This well proportioned top floor unit is the ideal condo with multiple lockout options, giving the owner the option to both occupy and rent the condo at the same time and maximize their rental income. Balconies off each bedroom provide mountain views. Common area amenities include pool, hot tub, gym, sauna, laundry room, meeting room facilities as well as underground parking. HOA allows for owner pets. Free Park City bus system can be accessed nearby. Close to slopes, close to shops and restaurants - location, location, location!!"